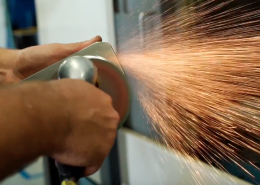 Within its first year of business, True Position Manufacturing Inc. has achieved ISO 9001:2015 certification. 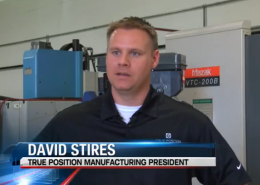 A big thank-you to the Quad Cities Chamber of Commerce for including True Position Manufacturing in this year’s Annual Meeting video. 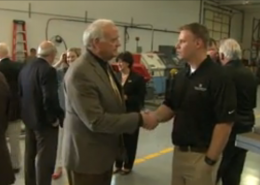 It’s an exciting time to be part of the Quad Cities region! And we are planning for the future using the Quad Cities Chamber's Q2030 Regional Action Plan – a rally cry of increasing talent, jobs and economic opportunity for all. 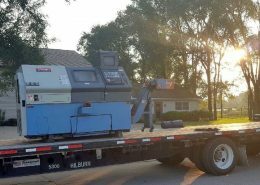 True Position Manufacturing is excited to add another Mazak lathe to the floor. 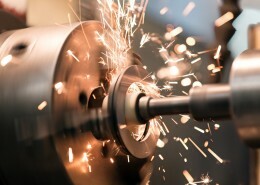 She's already humming away and hard at work on our customers' orders. True Position Manufacturing was proud to serve as one of the sponsors for Olympic Steel’s annual Make-A-Wish event at Modern Woodmen Park in July. 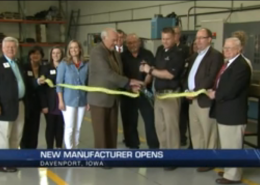 True Position Manufacturing is proud to be one of the local companies chosen to participate in the Quad Cities Manufacturing Innovation Hub program. 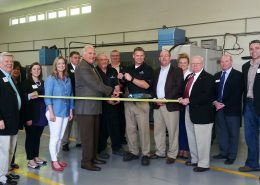 On May 6, we capped off National Small Business Week by hosting a ribbon cutting ceremony at our facility to mark the grand opening of True Position Manufacturing. 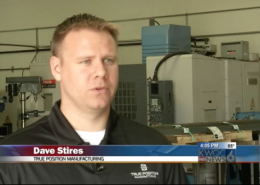 True Position Manufacturing was featured in a news segment and article about the future of the Rock Island Arsenal's Joint Manufacturing and Technology Center and its impact on the local economy. Special thanks to the WQAD News 8 team for covering our ribbon cutting ceremony and featuring us on the 5:00 p.m. and 6:00 p.m. news! 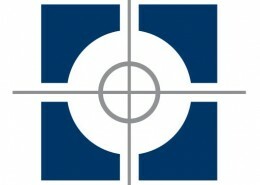 We are so grateful for your support of our new business. 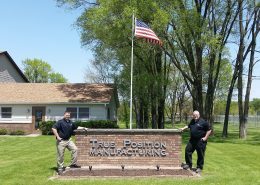 True Position Manufacturing Inc., a lean, veteran-owned metal manufacturing and fabrication company, is the newest manufacturer to join the Quad Cities small business community.